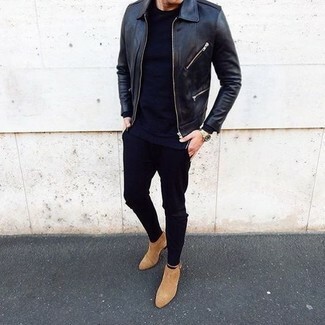 If you're on the hunt for a casual yet sharp look, consider wearing a black leather bomber jacket and ASOS DESIGN asos tapered jeans in black with cargo rip and repair. Both garments are totally comfortable and will look great together. 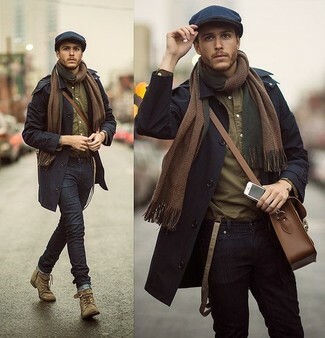 Wearing a pair of tan suede chelsea boots is an easy way to add some flair to your ensemble. 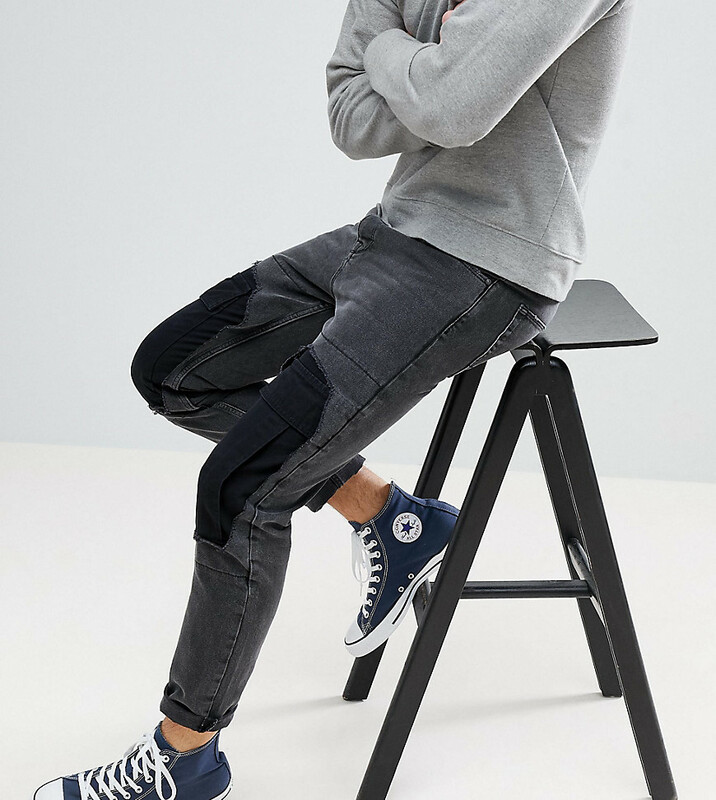 For a comfortable-as-your-couch outfit, consider wearing a black hoodie and ASOS DESIGN asos tapered jeans in black with cargo rip and repair. Lift up your ensemble with black slip-on sneakers. 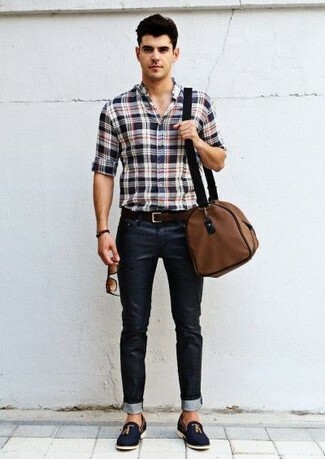 This getup with a white and navy vertical striped dress shirt and ASOS DESIGN Asos Tapered Jeans In Black With Cargo Rip And Repair isn't a hard one to put together and is easy to change according to circumstances. 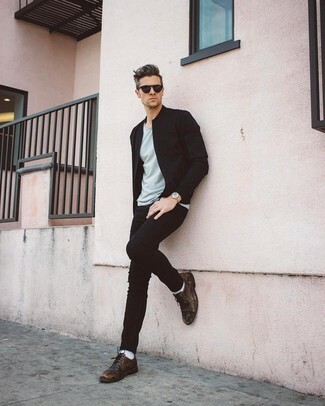 If you need to effortlesslly ramp up your outfit with footwear, why not add black leather loafers to the mix? If you're hunting for a casual yet dapper getup, pair a navy trenchcoat with black skinny jeans. Both items are totally comfortable and will look great paired together. When it comes to shoes, this look pairs nicely with olive suede casual boots. If you're after a casual yet seriously stylish look, wear a navy cotton blazer and ASOS DESIGN asos tapered jeans in black with cargo rip and repair from Asos. Both garments are totally comfortable and will look great together. 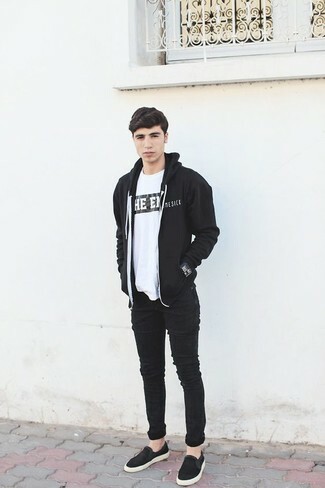 If you're on a mission for a casual yet dapper getup, go for a black bomber jacket and ASOS DESIGN asos tapered jeans in black with cargo rip and repair. Both garments are totally comfortable and will look great paired together. Choose a pair of dark brown leather derby shoes to take things up a notch. A grey crew-neck t-shirt and ASOS DESIGN Asos Tapered Jeans In Black With Cargo Rip And Repair work together beautifully. If you wish to effortlesslly rev up your ensemble with a pair of shoes, complete this ensemble with a pair of white leather low top sneakers. 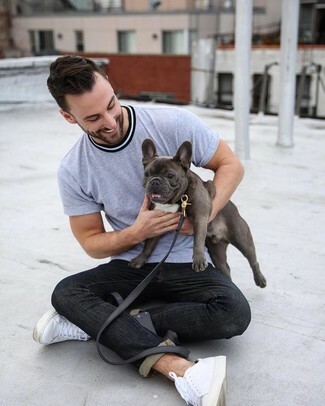 If you're on the lookout for a casual yet stylish look, reach for a grey plaid blazer and ASOS DESIGN asos tapered jeans in black with cargo rip and repair. Both items are totally comfortable and will look great together. 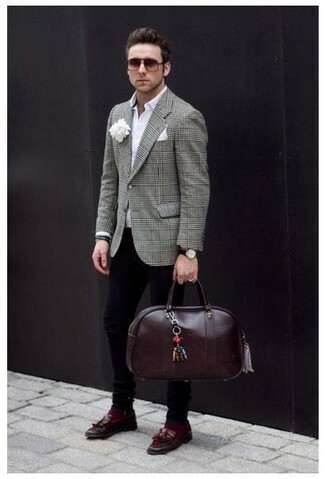 Bump up the cool of your getup by wearing burgundy leather tassel loafers. If you're a fan of relaxed dressing when it comes to fashion, you'll love this on-trend pairing of a white and red and navy plaid long sleeve shirt and ASOS DESIGN asos tapered jeans in black with cargo rip and repair. Opt for a pair of navy suede tassel loafers to show your sartorial savvy.